Every summer Scotland – the land of beauty hosts an absolutely incredible festival for dog lovers. Yes you guessed it right. 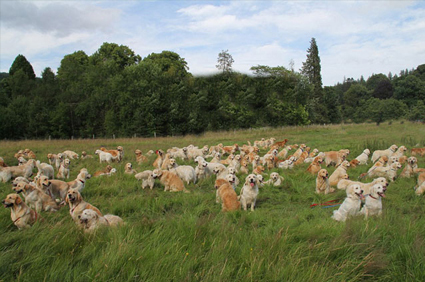 It’s the Guisachan Gathering, a festival of all things golden retriever, hosted by the Golden Retriever Club of Scotland and held at the ancestral home of the breed, the Guisachan Estate in Tomich, Invernesshire, Scotland. The club first held such an event in 2006 to commemorate the 50th anniversary of the organization, and 188 goldens showed up from around the world, at the time, the largest group ever photographed in one place. 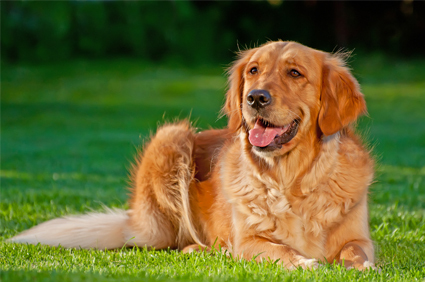 Last summer Guisachan Gathering in Scotland held in July, set a new record with 222 golden retrievers attended the event. The Guisachan Gathering draws owners from all over, including other European countries such as Spain and Italy, but also as far away as Australia, Japan, Canada and the United States. This summer the Guisachan Gathering is going to be even more amazing. All dog enthusiasts must experience it. So what are you waiting for? Book a trip to Scotland and enjoy the Golden Retriever Puppy Party!! If your Scotland trip is confirmed and you arelooking for the cheapest flight deals to Scotland, please visit http://www.smartfares.com or call us toll free @ 877-247-6435. 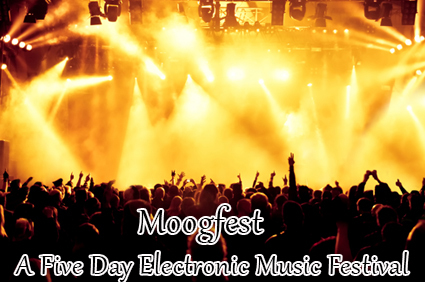 Moogfest is an annual five day electronic music festival that takes place in Asheville, North Carolina, United States towards the end of April. This festival is dedicated to the synthesis of technology, art and music. Asheville is the city where Robert Arthur “Bob” Moog, the inventor of the Moog synthesizer and founding father of electronic music, spent the last thirty years of his life. It is said that Moogfest is observed to honour the creativity and inventiveness that Bob Moog had spread throughout the course of his life. Robert Moog, born on May 23, 1934 in New York City and died on August 21, 2005 in Asheville, North Carolina. In 1964, he developed his first commercial voltage-controlled analog synthesizer with American composer, inventor, and educator Herbert Deutsch. At that time, many other synthesizers were already on the market, but Moog synthesizer began to gain wider attention in the music industry after it was demonstrated at the Monterey International Pop Festival in 1967. The Beatles, Mick Jagger and Sun Ra were among the first customers. The commercial breakthrough of a Moog recording was made by Wendy Carlos in the 1968 named Switched-On Bach, which became one of the highest-selling classical music recordings of its era. David Borden who worked alongside Robert Moog in his Trumansburg studios and later founded the first live synthesizer ensemble in 2000 performed at the Smithsonian Institution in Washington, D.C. with his Mother Mallard and Keith Emerson. This event came just four years before the first Moogfest was held in New York City. Moogfest welcomes futurist thinkers, inventors, entrepreneurs, designers, engineers, artists, scientists, musicians and Moog devotees to participate in a conversation that celebrates new technology and creative expression. The line-up includes Kraftwerk, Chic featuring Nile Rodgers, Giorgio Moroder, Laurie Anderson, Dan Deacon, The Gaslamp Killer, RJD2, Avey Tare’s Slasher Flicks, Darkstar, Shigeto, Wolf Eyes, Le1f, Daedelus, Art Department, Adult., Soul Clap, TOKiMONSTA, and Nick Monaco. This festival will also feature showcases curated by recorded labels such as Warp, DFA, Foold’s Gold, and Ghostly International and music festivals like Movement and Hopscotch. There will also be daytime activities, including conferences and guest speakers. What are your favourite childhoods Easter Memories? Hunting for Easter eggs or makings beautiful nests for Easter bunnies? Or maybe the most memorable part was the Easter preparation like: painting and decorating the Easter eggs, and anticipating the Easter candy and cute prizes you’d get. The Easter basket, with green grass, bright sweet candies, toys and small gifts, chocolate Easter bunny, marshmallow peeps, peter rabbit jelly belly beans and more! For many people, Easter is the most sacred observance in their religious faith; however that will not stop anyone from enjoying Easter egg hunts and Easter candy, one of the most cherished Easter traditions. Easter is a time of celebration and feasting and marks the celebration of rebirth of nature and new beginnings. For kids, it’s one more vacation where they expect to get lots of chocolates, candies and other treats. In Easter weekend, no excuse is required for outings. 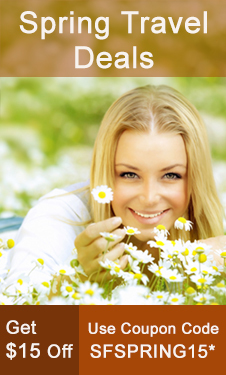 It is the time when the weather steps into warmer days and pleasant evenings. Thinking of your Easter holiday celebration! We will help to choose a perfect destination for your trip. The Easter celebrations in Madrid during Semana Santa, or Holy Week, stretching from Palm Sunday to Easter Sunday, are marked with numerous religious processions. The traditional “pasos” which are basically religious icons, are taken from their normal resting places in churches around the city and paraded through the streets on the shoulders of the “costaleros”, normally young men. On Easter Sunday the main event takes place at mid-day in the Plaza Mayor. This is the “Tamborada del Domingo de Resureccion”, whereby whichever Brotherhood has been chosen for the year, assembles dozens of drums of all shapes and sizes and beats out a constant rhythm which almost shakes the timbers of the nearby houses. During Easter week, Rome the home of the Vatican, become the stage for religious fervour and devotion, combining grief and meditation in memory of Christ’s death and turns into a prime destination for experiencing grand Easter ceremonies. On Good Friday in a moving candlelit procession, the Pope retraces Christ’s Via Crucis, and it ends in a huge open-air Mass on St Peter’s Square on Easter Sunday, after which the Pope delivers his “Urbi et Orbi” address. The Easter procession winds from the Colosseum to Monte Palatino, re-enacting the 14 Stations of the Cross, from Christ’s death sentence to his entombment, with a prayer at each station. Men dressed in purple robes and hoods and carrying floats with large sculptures of Jesus, the sombre beat of the marching band, the air filled with the musky mix of flower petals and incense, religious events and festivities, all turn the pristine Antigua Guatemala city a home to the largest Easter celebration in the world. One of the most impressive aspects of the Easter Festival is the “alfombras” an Arabic word for carpet that adorn the processional route and reflect the Maya tradition, biblical symbolism and scenes from nature. On Easter Sunday, “the big apple” transforms into a sea of extravagant Easter bonnets. The Easter parade starts from 10 a.m. – 4 p.m. and the marchers wander along the New York’s Fifth Avenue from 49th to 57th Streets. From Easter-themed walking tours, Easter egg hunts, Easter church services to Easter brunch and dinner, New York City has lots of Easter-related activities for young and old to enjoy. 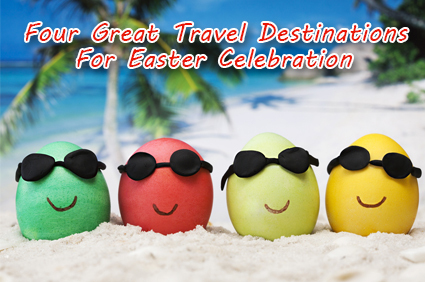 Plan your trip with your family or friends and make Easter vacation a lifetime memory! 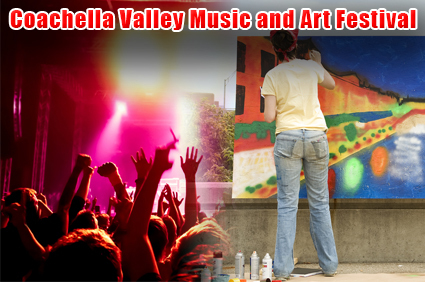 Every year thousands of people gather in Coachella valley for enjoy incredible Coachella Valley Music and Art Festival. Music and Art enthusiasts from round the world get here to enjoy art, drink, food and rocking on to the artists performing there. It is held in Coachella Valley in Indio California. It all started on a 5th November 1993, when Rock Band Pearl Jam performed a free concert in front of near about 25,000 fans on the desert lawns of the Empire Polo Club. In this concert the seed was planted for the nation’s biggest music festival, the Coachella Valley Music and Art Festival. Due to overwhelming popular demand, Coachella expanded to two consecutive weekend festivals. In this year, first event is on 11-13 April and second on 18-20 April. In this festival, music-lovers get to enjoy different genres of music like; hip hop, rock, electronic music and so forth. They have the chance to see their favourites up close. This is only because each year, Coachella features various artists. However, music isn’t the only attraction in this festival. For one, it’s also an annual art event. Therefore not only do musicians pool during these days but sculptors, painters and others, as well. Gigantic and expressive masterpieces are what dominate the art shows. Thus, art enthusiasts get to have their share of magnificence as well. Lastly, have fun and make some amazing memories! A destination wedding is a chance for couples to celebrate their wedding at a gorgeous destination of their choice far away from home. Destination weddings can be intimate (just the two of you), limited to close family and friends, or a grand affair with hundreds of guests. A bit of romance, a bit of stylish arrangements and also the best of locations are the perfect ingredients for the best destination wedding round the world. Unforgettable Memories: When you find the person you wish to marry, you are picturing yourselves together for life. So it makes sensible to make your wedding very special and unforgettable. Most of couples want to fulfil their wedding with happy memories that will be treasured forever by themselves as well as by their family and friends. A destination wedding achieves that goal because it’s completely different and special for all. Only the people you want: Most destination weddings are smaller than the celebration you would have at home. When you are planning a destination wedding, you think really carefully about who you want to be there. It’s easier to create a small list of guests, because everyone understands situation and the importance of keeping costs down. You have a ready-made honeymoon: A destination ceremony could seem like an expensive option, but you’d be surprised at the savings you can make with this option – especially if the destination is not too far from your home country. But the biggest cost saving in destination wedding is that you do not have to pay extra for a separate honeymoon trip! Book your destination wedding in a place that you would also like for honeymoon. You can spend extra time with loved ones: Some wedding couples love to holiday with their nearest and dearest, even if it’s their honeymoon. Your wedding is a very special occasion and usually busy times when it’s difficult to catch up with all of your guests. 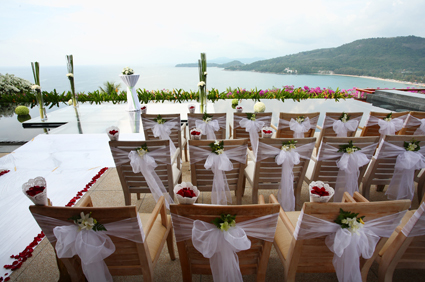 With a destination wedding and reception, you all have lots of time when the massive day to combine and mingle. 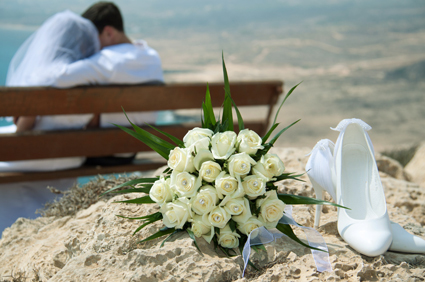 Less stress: You can find lots of holiday destinations are set up for weddings, making your wedding plan stress free. As an example, if you planning a tropical beach destination for wedding, you need to hire special occasion or wedding planner. He does the rest for you. It’s a great, stress free way to get married. Italy: This is the ultimate wedding getaway for many couples and their families. There are many wedding planning specialists who cater to wedding couples, so use their abilities fully. Hawaii: Whoever wants a relaxed beach wedding with little fuss, this tropical island is a best place for sure! Thousands of couples flock here to celebrate their wedding in Hawaiian-style. There are many destination wedding planners that can help you decide where to have your event, what to serve, where to spend your honeymoon, and much more. The Bahamas: It’s comes in one of the top destination wedding locations, the Bahamas truly evokes the Caribbean spirit in more ways than one. And once the wedding is over, you and your guests can experience the best seafood, golfing, shopping and casinos available! Napa Valley: This is a great choice for destination weddings for those couples who love wine and the idea of getting married in a vineyard. The pastoral beauty of countless vineyards lures thousands of couples come here every year to tie the knot with the help of a destination wedding planning specialists. 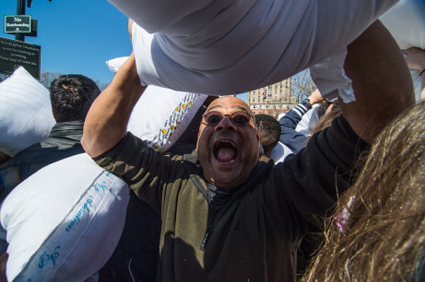 Tomorrow is April 5, which means only one thing – it’s International Pillow Fight Day! If you were ever a kid once, chances are pretty good you’ve had a few pillow fights over the years. 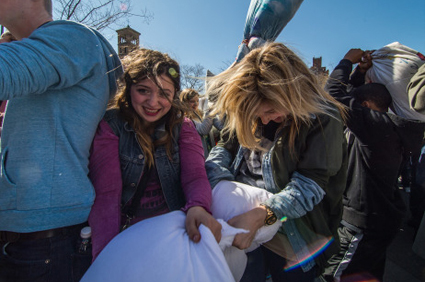 Whether it was with childhood friends, siblings or other family members, pillow fights were loads of fun! The International Pillow Fight takes place in over 150 cities worldwide and top cities which participate are Atlanta, Austin, Boston, Chicago, Dallas Fort Worth, Denver, Los Angeles, New York City, Washington, Amsterdam, Berlin, London, Honk Kong, Mexico City, Oslo, Paris, Quebec City and Toronto. 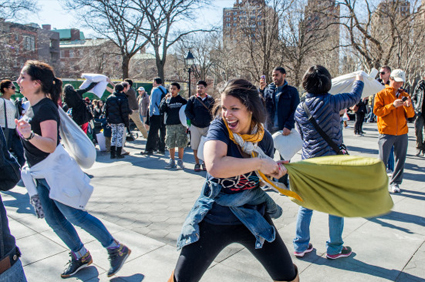 Thousands of people take part every year in International Pillow Fight day, an annual holiday that actually encourages friendly pillow fights no matter where you live! In this day ground or park will be turned into an epic and feathery battle field and it’s a great opportunity to bombard a stranger or friend with multiple pillow whacks. It’s open to all ages and is free to attend. Practice makes perfect. Now is the time to start practicing that perfect stance and swing. Soft, feather-free pillows are required. No hard pillows or pillows filled with down are allowed. Do not put any other items in the pillow case other than the pillow! Wait until the signal sounds before you take your first swing. Be sure to take off your glasses before the action begins. Do not swing at people who don’t have a pillow or who are taking photographs. Please swing at others gently. And remember to help clean up once the pillow fight event has concluded. Prepare for the ultimate pillow combat, which will bring padded weapons and costumed fighters. 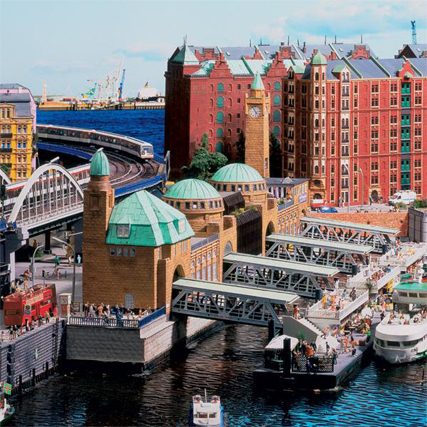 Miniatur Wunderland in Hamburg, Germany, is home to the world’s largest model railway, with miniature replicas of famous destinations around Europe and America. They have a massive car system and the whole thing is full of secrets of how they did it. 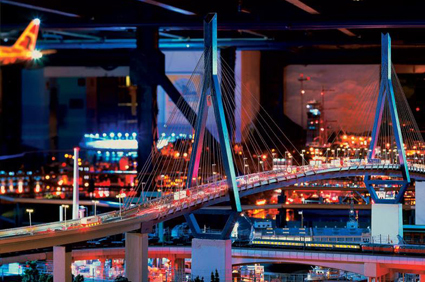 Encompassing over 1,150 square meters, all housed within a large complex centrally located in Hamburg, the Wunderland is an impressive display of engineering and detail. 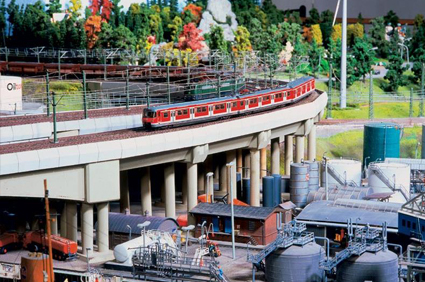 The model trains travel through the replicated landscapes of Scandinavia, Germany, Austria and, although geographically implausible, the United States (there is even a miniature rendering of Mount Rushmore!). 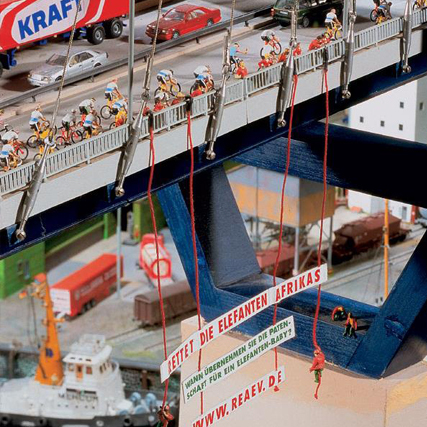 In May 2011, the next section of Miniatur Wunderland was opened and it’s covering an airport. The exhibit includes 890 trains, 11,000 carriages, 215,000 trees and 300,000 individual lights and 200,000 human figurines (Source: Wikipedia). 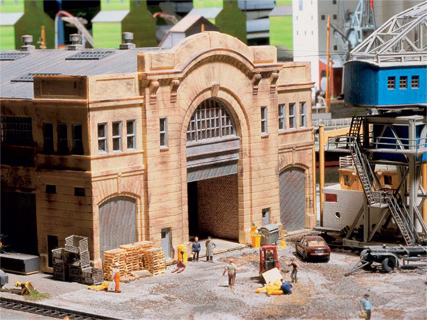 The track lengh of 5.6 miles has set the world record for the largest miniature railroad. It has been build during approx 500,000 working hours and it’s costed $14.16 million USD. Frederik Braun and his girlfriend were visiting the alpine town of Zurich in July 2000. Sauntering through the alleys of Zurich’s centre, they came across a railway model shop, which at once evoked childhood memories in Frederik. Same day he called his twin brother Gerrit and and surprised him with the following words: “We are going to build the largest model railway in the world.” Gerrit, who is more rational and skeptical by nature, he didn’t take this idea too seriously. However, after having received about six more calls from Frederik enthusiastically presenting new ideas about this, Gerrit realized that his brother was very serious about it. So, he started thinking about the project from an economic and technical point of view. Gerrit had been infected by this concept as well. The two brothers passed the coming days intensely planning their dream despite many doubts and misgivings from their environment. Only a few days after Zurich’s enlightenment both of them were sure that they would engage in this adventure. 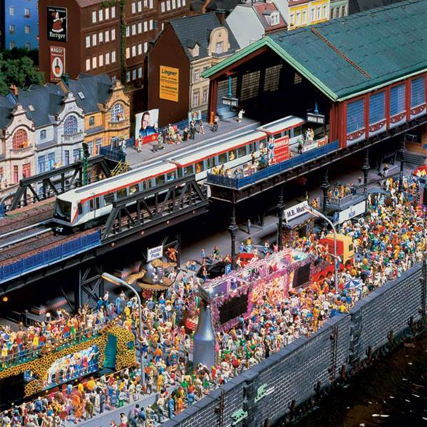 The Miniatur Wunderland has been constantly growing since 2001. Having started with two layout areas, Harz and Southern Germany, it has opened the eighth area, Knuffingen Airport, in May 2011. More layout areas have already been planned until the year 2014. Other areas currently include: Hamburg, Austria, United States of America, Sweden, Norway, Denmark, Finland and Switzerland. The next two destinations slated to be built are France and Italy. All parts are built to a scale of 1:87. Much of the technology is custom-created as many of the stock components were not designed for continuous operation. The Wunderland is open year round from 9:30am – 6:00pm. Guided and behind the scenes tours can be booked in both German and English.